EU Directive to tackle plastic waste in the environment – EU Institutions must avoid loopholes and keep ambitious objectives – Deutsche Umwelthilfe e.V. Berlin/Brussels, 27.11.2018: Deutsche Umwelthilfe (Environmental Action Germany, DUH) and Reloop welcome the draft Directive on the “Reduction of the Impact of Certain Plastic Products on the Environment" put forward by the European Commission in May 2018. However, there are still major weaknesses in both the draft Directive and the position of the Council of the EU. According to DUH and Reloop, this could jeopardise the sustained success of the proposed legislation. The EU has to take a leading role in waste prevention and the protection of the oceans. The two organisations therefore call on the EU Institutions to avoid any loopholes in the Directive and ensure that crucial measures are implemented as ambitiously as possible. The trialogue negotiations are currently taking place and are expected to be concluded in December. DUH and Reloop call on the Council of the EU to support the 90 percent separate collection target for plastic bottles from 2025 and an EU-wide consumption reduction target of at least 25 percent for disposable cups and takeaway food containers. Furthermore, bans must also apply to disposable bioplastic products and disposable paper products with plastic coating. "Plastic bottles are among the top items polluting water bodies and beaches. This is why the 90 percent separate collection target for plastic bottles from 2025 proposed by the European Commission and the European Parliament is particularly important. The Council’s proposal to postpone the implementation of the target until 2030 would lead to ongoing environmental pollution and would decrease the necessary pressure for rapid action", warns Clarissa Morawski, Managing Director of Reloop. "On top of that, the Council's proposal to enable mixed collection of plastic bottles with other packaging and to calculate the collection rate based on the amount of waste generated rather than on the number of bottles placed on the market provides unnecessary loopholes to EU Member States with low ambitions. This undermines the consistent approach of collecting plastic bottles separately in order to achieve the highest possible collection rates", Morawski continues. Bans must also apply to disposable bioplastic products and disposable paper products with plastic coating. Postponing bans on coated paper plates until 2023, as proposed by the Council, is inacceptable. Biodegradable plastics must remain in the scope of the Directive in the future, as requested by the Parliament. The Commission and the Council proposed to reassess the scope of the Directive in case standards for marine biodegradation are developed. This is inacceptable, since consumers are likely to misinterpret marine biodegradability as general biodegradability, which would result in increased littering. "Even if there were plastics that could easily biodegrade in a marine environment, this would not solve the problem that is created by the enormous waste of resources caused by the non-reflective use of disposable products. In addition, marine bio-degradability standards could lead to a dramatic increase in the consumption of single-use products and littering", Metz warns. So far, many manufacturers have not been held accountable for the environmental impact of the products that they place on the market and that end up being littered, such as plastic tobacco filters. To tackle this issue, EU-wide extended producer responsibility (EPR) schemes must be mandatory without exceptions, as proposed by the European Commission and Parliament. Effective EPR and consumption reduction measures should under no circumstance be replaced by voluntary agreements, as was proposed by the Council. Furthermore, the mandatory recycled content of 35 percent for single-use plastic beverage bottles proposed by the European Parliament is a particularly important measure for closing the loop and enabling a high-quality bottle-to-bottle recycling. It therefore needs to be included in the Directive as a binding requirement. The proposal made by the Council and backed by the Commission to set an aspirational rather than mandatory target of 35 percent considerably undermines the effectiveness of the target and will not lead to the desired outcome. The Council’s suggestion to define disposable products based on their tendency of being littered is particularly problematic. 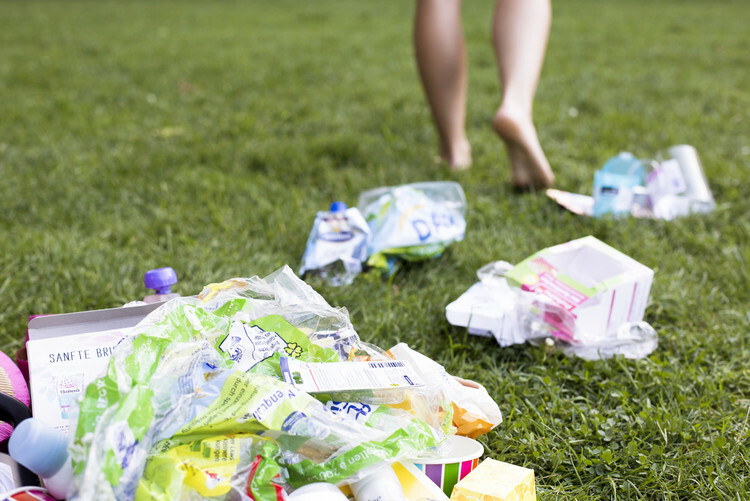 According to the Council, the littering probability should be derived from factors like product size. This could lead, for example, to large-sized plastic bottles or food packaging simply being exempt from the scope of the Directive. The definition of a single-use plastic product should, as intended by the Commission and the Parliament, be based solely on a reasonable differentiation from reusable products. "Unfortunately, binding reuse quotas for beverage, sales and transport packaging are still missing in the negotiating positions of all European Institutions to date. Reuse quotas represent an effective measure for a sustained reduction of the release of environmentally harmful single-use plastic products into the environment. We therefore call on the EU Institutions to support reuse schemes in the EU in the interests of environmental protection and the general public", says Metz. DUH position paper on avoiding loopholes for an ambitious single-use plastics Directive at the end of this page.